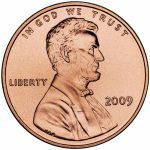 Many coin collectors start their numismatic collections with pennies, and trying to get pennies from every year within a given range. 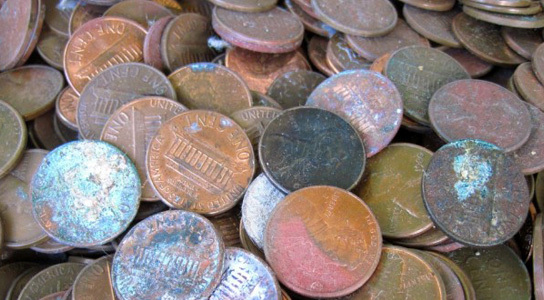 This process, while seemingly daunting, is straightforward and will take about 684 pennies to find all of the pennies from 1959 to 1997, since they are still in circulation. Shiyong Lu, from Wayne State University, and Steven Skiena, from SUNY Stonybrook, calculated this by recognizing that all coins aren’t equal. The probability of finding a coin from a certain year depends on its mintage and collector pressure. The higher the mintage, the higher the probability of finding a coin. The older the penny, the lower the chances of finding it, since these coins get taken out of circulation. Collector pressure refers to how much collectors try to find a given coin. The higher it is, the lower the chance of finding that coin, since collectors are trying to obtain it and taking it out of circulation. For pennies, it’s easily conceivable that the collector pressure is almost nonexistent. Lu and Skiena inputted their data into an equation taken from the Coupon Collector’s Problem and discovered that 684 pennies must be collected in order to get all of the pennies from 1959 to 1997. Samuel Arbesman from the Wired Science blog Social Dimension tried this experimentally and came up with 630 coins. Be the first to comment on "Probabilities of Collecting All Pennies from 1959 to 1997 are Easily Feasible"